368. Describing spiral line on a cylinder. 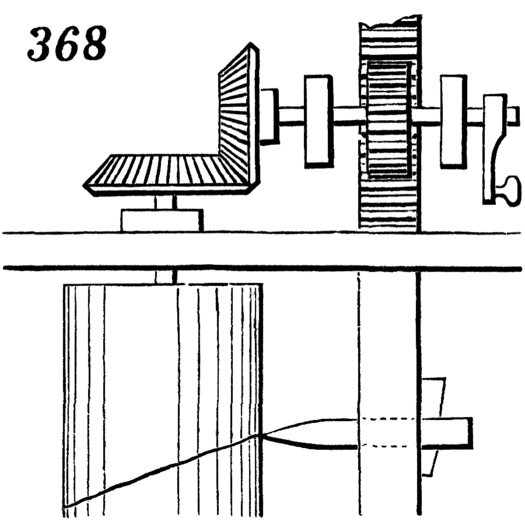 The spur-gear which drives the bevel-gears, and thus gives rotary motion to the cylinder, also gears into the toothed rack, and thereby causes the marking point to traverse from end to end of the cylinder.